Ze’ev Mankowitz died on February 1, 2015 (12 Shevat), in his seventy-fourth year, after more than four years of severe illness. His passing is a sad loss to the second generation of Israeli historical scholarship on the Holocaust, of which most completed their studies or doctorates under the guidance of Professors Yehuda Bauer and the late Yisrael Gutman in the Hebrew University’s Institute of Contemporary Jewry. Ze’ev was one of several colleagues — notably, Dalia Ofer, Hagit Lavsky, and Hanna Yablonka — who study and teach about the Holocaust in general, but focus their own research primarily on the Holocaust survivors. In one respect Mankowitz’s background was distinctive, as neither Europe nor Israel was his place of birth. Born in Cape Town, South Africa, in 1941, he came to live in Israel purely out of Zionist idealism. This meant forsaking the normative prosperity and professional career prospects that were available to most young Jews of his generation in South Africa and choosing unconditionally to throw in his lot with the Zionist project — the establishment of the State of Israel. It was a life choice that emanated from his formative upbringing in the Zionist youth movement Habonim (today Habonim-Dror). 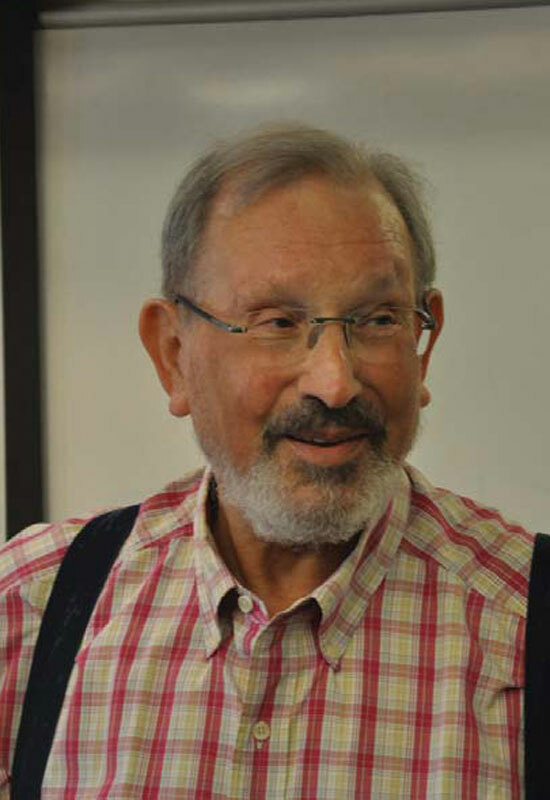 Prior to Mankowitz’s aliyah in 1963, while playing an active leadership role in Habonim, he began undergraduate studies in history at the University of Cape Town. He then continued at the Hebrew University of Jerusalem, where he completed his B.A. degree in Jewish History in 1967, M.A. in History and Contemporary Jewry in 1973, and Ph.D. in 1987. While serving as a teaching assistant to Prof. Yehoshua Arieli, he happened to be given the task of facilitating the stay of the distinguished historian George Mosse as a visiting professor in the university’s Department of History. Mosse was later tenured at the Hebrew University as well as the University of Wisconsin. Mosse’s model of scholarship and the friendship that developed between them had a deep and lasting influence on Ze’ev. Mankowitz’s own focus of scholarship was empirical inquiry into the historical reality underlying the survivor public that has come to be conceptualized by the term She’erith Hapletah, usually translated as “surviving remnant.” In the broadest sense the term has been applied to all displaced European Jews who survived the Holocaust; in 1947, their number was estimated at 250,000. However, in a narrower sense it refers to the collective identity of those survivors situated in DP camps, mainly within occupied Germany, who turned their backs on their former homes and lives and sought to build a new life outside Europe. Their situation was essentially one of being liberated but not yet free. They constituted a transient community; many of the most articulate members publicly self-identified as She’erith Hapletah. Mankowitz found that even within that public, cogitations and opinions were articulated that addressed the existential and moral implications of the Holocaust for Jews as well as for all humanity. Indeed, he observed that their thoughts profoundly anticipated contemporary intellectual discourse on the subject. Furthermore, in that context his findings clearly showed the ideological prevalence of Zionism within the politically active elements of She’erith Hapletah. That is to say, the bitter fate of the Jewish people during the war was understood in terms of the Zionist critique of vulnerabilities of life in the Diaspora and the realization of Jewish statehood as the last will and testament bequeathed by the murdered victims to the survivors. Ze’ev Mankowitz’s exceptional talent as a teacher first found expression at the World Zionist Organization’s Institute for Youth Leaders from Abroad in Jerusalem. He taught there in the 1970s and served as the institute’s head for a time. Generations of students were entranced and influenced by his teaching. Something of his impact can be gauged from a reference to him as “an old teacher of mine, the inspirational Ze’ev Mankowitz,” which I recently chanced upon in an article by the prominent English journalist Jonathan Freedland.3 It seems that many years ago, as a student at the Institute for Youth Leaders from Abroad, Freedland was exposed to Ze’ev’s inspirational teaching. Mankowitz began to teach specifically on the Holocaust at the Hebrew University’s Rothberg International School in 1972 and continued until 1989. Packed lecture halls marked his course of lectures in English on “Issues in the Study of the Holocaust.” Even visiting professors of far higher academic rank were attracted to his lectures and inspired by his thoughtful treatment of the subject. Meanwhile Mankowitz’s interest turned also to leadership training in Jewish education. He became a tenured faculty member of the Hebrew University’s Melton Center for Jewish Education, lecturing there until his retirement in 2007. He served as the center’s director for six years, from 1993 to 1999, and was also responsible for forming and coordinating an International Council dedicated to support of the center. In addition, from 1992 to 1998, Mankowitz served as academic director of the prestigious Mandel Jerusalem Fellows program, which sponsored extensive in-depth specialization for promising leadership in Jewish education worldwide. Mankowitz’s approach to Jewish education was influenced by his empathetic interest in She’erith Hapletah. He inferred a “post-Holocaust educational ethos” from the experience of She’erith Hapletah. He believed that by not succumbing to paralyzing despair, cynicism, or nihilism, despite having lost everything, and in turning beyond basic reconstruction of their personal lives to working also for the collective redemption of their people, they “set an example and created a norm that those who were not ‘there’ cannot easily disregard.”4 In broader terms, his lecture courses at the Melton Center explored the relationship between history and memory and its implications for educational practice. In the same vein his teaching engaged the educational implications arising from the tension between peoplehood and broader human solidarity. Over the years Mankowitz maintained an ongoing relationship with Yad Vashem, where he enjoyed the affection and esteem of his colleagues. He served on the Education Advisory Committee of Yad Vashem from 1990 to 2001, was a Fellow of its International Institute for Holocaust Research in 1998–1999 and again in 2003–2004, and was one of the academic advisors for the new Yad Vashem Holocaust History Museum from 2000 to 2002. After his retirement from university teaching, he undertook direction of Yad Vashem’s new “Diana Zborowski Center for the Study of the Aftermath of the Holocaust.” Sadly, this task came to coincide with years of struggle with cancer. I shall not forget the words he uttered to me with difficulty towards the end: “God has been good to me,” he said. Anyone familiar with his life and protracted illness might find it difficult to accept this statement. 1. See, for example, “The Formation of She’erit Hapleita: November 1944–July 1945,” Yad Vashem Studies, 20 (1990), pp. 337–370; “Zionism and She’erit Hapletah,” in Yisrael Gutman, ed., She’erit Hapletah, 1944–1948: Rehabilitation and Political Struggle (Jerusalem: Yad Vashem, 1990), pp. 211–230; “The Affirmation of Life in She’erith Hapleita,” Holocaust and Genocide Studies, 5:1 (1990), pp. 13–21; Life Between Memory and Hope: The Survivors of the Holocaust in Occupied Germany (Cambridge: Cambridge University Press, 2002). 2. Life Between Memory and Hope, p. 286. 4. “Toward a Post-Holocaust Jewish Educational Ethos,” Studies in Jewish Education, vol. X1, p. 214. 5. Zeev Mankowitz, David Weinberg, and Sharon Kangisser Cohen, eds., Europe in the Eyes of Survivors of the Holocaust (Jerusalem: Yad Vashem, 2015).